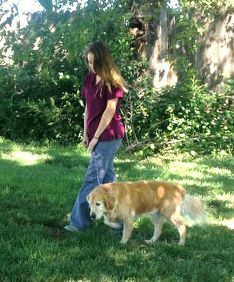 Why rely on a friend or untrained pet sitter to take care of your pets while you go on vacation or travel for business? 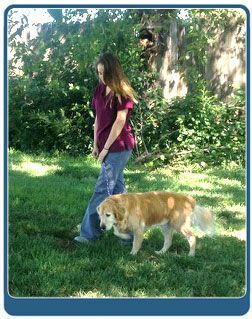 Mill Creek Animal Hospital in Shawnee, KS offers an affordable and convenient dog boarding and cat boarding kennel near Shawnee, KS (66216, 66217, 66218, 66226). We can provide you and your pet with a safe and comfortable place for your cat or dog while you are away. Our highly qualified kennel attendants will provide your pet with tender loving care as well as leisurely outdoor walks to keep your furry friend happy and active. In addition, our boarding facilities are veterinarian supervised seven-days-per-week in order to provide you with an extra measure of peace-of-mind while you are away. All Mill Creek Animal Hospital pet boarding guests are fed Hill’s Science Diet foods, though you are welcome to send your pet’s favorite food in with him or her as well as a favorite toy from home. 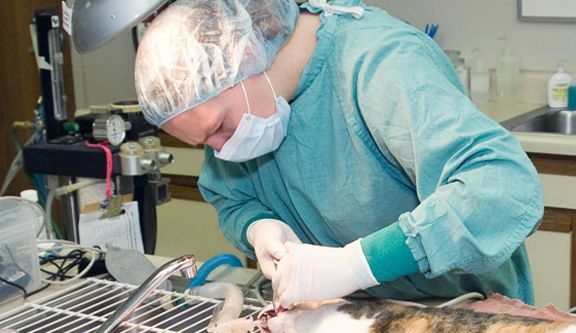 As a veterinary supervised facility, our Shawnee animal hospital can also provide specialized diets and medical care or medication for guests with special needs. We encourage you to call for a reservation during holidays, but reservations are not necessary other times of the year. For the safety of all our guests we also ask that your pet be up-to-date on all vaccinations and have had a recent clear test for internal parasites. Proper pet grooming is essential for keeping your pet comfortable and ensuring its skin and fur are healthy. So why not let Mill Creek Animal Hospital's grooming salon near Shawnee, KS (66216, 66217, 66218, 66226). 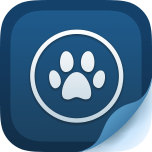 provide your dog or cat with some healthy pampering? Because we believe cat/dog grooming is important to your pet's health we take it very seriously, but that doesn't mean it shouldn't be fun or feel good. We have the latest products, technology and equipment to ensure that your pet emerges from his or her appointment feeling and looking great. 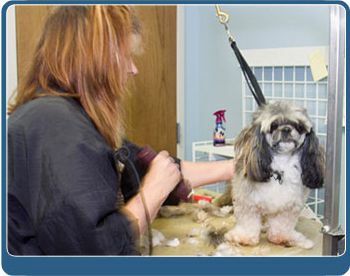 We feature two full-time, professional pet groomers with more than 45 years of combined experience. High-quality specialty shampoo treatments that remove dirt, debris and that doggie pet odor and will bring out the fur’s natural color as well as leave your pet feeling fresh and revitalized.